SEOUL, Feb. 19 (Aju News) -- The global governing body of ice hockey said Monday it will consider keeping the joint Korean women's team for the 2022 Winter Olympics in Beijing. 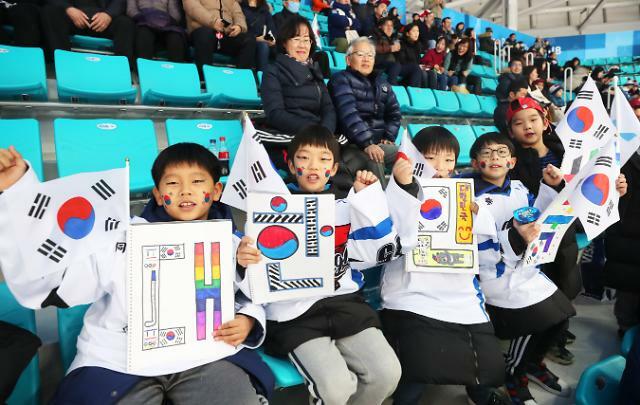 Rene Fasel, president of the International Ice Hockey Federation (IIHF), said at a press conference that he feels "very, very happy" about how the unified team has come together to represent peace at the ongoing Pyeongchang Winter Olympics. The joint team has been overmatched on the ice, losing its three preliminary games to Switzerland, Sweden and Japan by a combined 20-1. 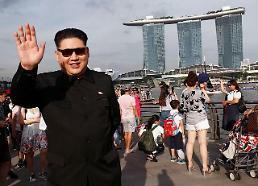 But Korea held its own in a rematch against Switzerland in their classification match Sunday, only losing by 2-0. Despite these losses, Korea has been the darling of the tournament, drawing about 15,000 fans combined over its four games. Fasel spoke of "many, many political obstacles" that had to be cleared before the teams could be brought together. And he also took his time to thank Sarah Murray, head coach of the South Korean team who was put in charge of the combined squad, for her hard work. "Poor girl: She was not so happy in the beginning because adding 12 players for her was not so easy," Fasel said. "But now, the team is coming together."